SAP users in the UK and Ireland demand more transparency in licensing and better value for money from the supplier. SAP users in the UK and Ireland want more transparency in licensing from the supplier. An SAP UK and Ireland User Group survey of 336 SAP users in 150 SAP user organisations revealed a customer base demanding better value for money in difficult economic circumstances. And the ongoing shift of enterprise IT from on-premise to the cloud, or to hybrid cloud/on-premise models, continues to muddy the licensing waters. Philip Adams, vice-chairman of the UK & Ireland SAP User Group, said it was to SAP’s credit that it is engaging with users over licensing. 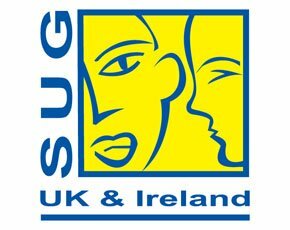 The UK and Ireland group is one of 16 internationally that has been talking to SAP through the SAP User Group Executive Network (Sugen) about licensing, under the rubric of a Licence Charter, for “about a year”. That requires transparency and flexibility from the supplier, he added. SAP users want to know how they can move from on-premise to cloud, but there is confusion around licensing terms. Research last year revealed that 80% of User Group members expected their SAP implementations to be a mixture of on-premise, on-demand and on-device services. This latest research, however, revealed that the majority (97%) of users do not believe SAP has effectively explained the migration path of moving from on-premise to its mobile or cloud offerings and how this affects their existing licensing agreements. “It is clear that there needs to be greater clarity from SAP regarding licensing, much of which stems from a need for improved customer communication," said Adams, in a press statement. "For instance, more than half of users don’t understand the difference between what SAP defines as a Professional and a Limited Professional User. We will be looking to work quite closely with SAP in the UK in the coming months to ensure this happens, and of course licensing will no doubt be a big theme at this year’s User Group Conference," he said. The survey will be discussed at the SAP UK and Ireland User Group Conference in Manchester from 18-20 November 2012. Are SAP’s indirect use charges legal?